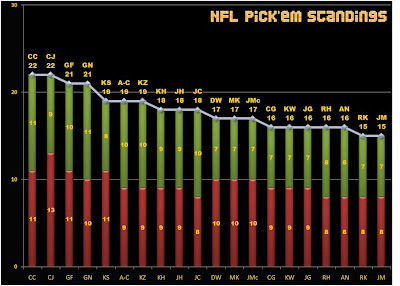 Below is the debut of the NFL Standings Chart. Stay tuned for the Week 4 Card... I'll get it out later today.